If this review sounds like an ode to Fawad Khan it is because that is what this is meant to be. Fawad Khan is often referred to as the superstar of our generation, and today he proved to all and sundry that he is indeed worthy of the title. To take on a character with more shades of black than white and then to turn it around, into someone we all root for to win the girl’s hand, is no mean feat. While watching this latest episode I was so taken in by Fawad’s portrayal of Zaroon’s desperation, despondency and determination, that I was compelled to put aside all my ongoing problems with this character, his hypocrisies, double standards, immaturity, and flip-flopping. Forgetting about everything else, all I could do was watch and be in awe of this man’s talent and charisma. Fawad was magnificent, Zaroon, I’m still not sold on. Of course, no show can run on one man’s star power alone, even if its Fawad Khan. The other actor matching him every step of the way, shining just as brightly and equally deserving of praise, is Sanam Saeed. Once again, whether you agree or disagree with Kashaf, you cannot help but feel for her. Sanam has done an excellent job portraying a very sensitive girl, who has developed a very hard protective shell around her. After having witnessed all the humiliation she suffered during her university days at Zaroon’s hands, I’m not surprised to see her wariness and anger at his proposal. How dare he?! I for one, have been on Kashaf’s side all along, and agree that she could so much better than Zaroon. But then whether Osama is a better option for Kashaf is a whole other question. Osama is such a bechara sa… I don’t know how he could even think that he could ever stand up to Kashaf and her fiery temper. He looked scared to death even when he was proposing to her! Now I sincerely hope that the poor guy is not dragged into the battle between Zaroon and Kashaf. Poor Shehryar, at times I feel as sorry for him as I feel for his character. Much like Osama, he too looks lost between his two more experienced co-actors, Fawad and Sanam. Ayesha Omar on the other hand, is comfortably holding her own, living her character as Sara. Today, I thought she was very good as the younger supportive sister to Zaroon, and a good daughter to Ghazala. I loved the mother daughter scenes. Although watching her advise Ghazala to let Zaroon be, let him make his own decisions, was funny. Wasn’t she the one who blamed her mother last week for not being a good parent, not guiding and advising her about her marriage with Farhan? As for Ghazala, I’m seriously perplexed. The woman has her issues, but after watching her in the past few episodes, one can definitely not call her a neglectful mother or a career woman not interested in her children’s lives. In fact, in the last couple of weeks, it is Junaid who has revealed himself to be the more absent parent in his children’s lives. Last week, he announced that he had found a rishta for Sara and it was up to Ghazala to talk to her about it. And this week, Ghazala had to ask him to speak up in Zaroon’s case. Generally dads do tend to be like that, but then don’t go around blaming their wives for being bad mothers. From Kashaf’s side of the family, I love seeing Mansha Pasha as Sidra. I enjoyed her adamant refusal to engage in a protracted polite conversation with her now back-in-the-picture father, Murtaza. Her phone call with Zaroon was really sweet. While most of the scenes were a repetition of the same old same old, but I appreciate that for once we had a Hammad-free episode. Is it too much to ask for this positive trend to continue? Overall, while not much “new” happened, this was a fun episode in terms of the Zaroon and Kashaf clash. We did see more of Zaroon’s mental state, now that he’s decided he wants to marry Kashaf. Like an impatient child who can barely wait for Christmas morning to come, Zaroon was finding it hard to kill time, while he waiting to hear from Kashaf. His desperation and all the phone-calling was superbly directed and acted. I really felt Zaroon’s impatience and barely contained excitement. Much as he hated her refusal and was expecting it, I don’t think he would’ve respected Kashaf one bit if she would’ve given in at first go… Lage Raho Zaroon miyaan… Abhi ishq ke imtehaan aur bhi hain! Finally, a huge round of applause for the editors for the maintaining a brisk pace and keeping a balance in the scenes between Zaroon and Kashaf and their families. Thank you! Looking forward to reading about your favorite moments from this episode! No it doesn’t sound Ode at all 🙂 because credit should be given where its due… Fawad Khan was beyond awesomeness, he can indeed make any character lovable despite how terrible the character be… Zaroon was awww right from his gathering strength to call Kashaf -to- showing his desperateness to Sir Abrar… I liked how his thoughts were portrayed about he not being conscious on status.. 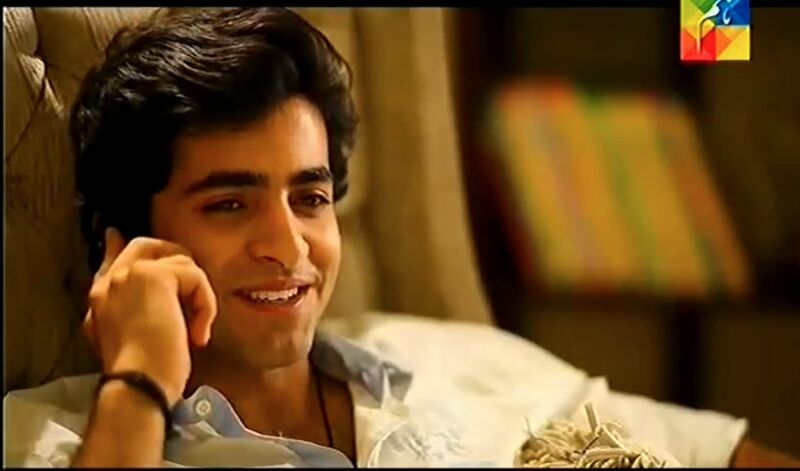 Loved the dialogues..
@Rehmat – RE: phone call scene: how cute did he look when he goes “nahi aap to churail hain ” and then the smirk!! poore 40 minutes to gulzar nahi hoyen honge…Murtaza and Nigar were stil here and so were Ghazala’s repetitive dialogues! 😉 The woman deserves a “mother of the year ” award who does not even wanna talk to her son.. Loved loved this episode!!! And yes Fawad was awesome, every expression and dialogue was perfect!! He is just beyond brilliant! I absolutely loved the nervous wreck calling 4 times to each member of his family…that was just hilarious! We are rooting for Zaroon despite his infamous past, osama although nice is just not really a match, there is no spark I feel between them other than just friends. Whereas there is a thin line bw love and hate, and Kashaf will find that out pretty soon! I love how she questioned who her ideal was, their diary entries were fab…Zaroon ka khair nahin! I think wedding will now be in 18…Yeh to kuch lamba hogaya…but did we really think kashaf would give in so easily!! But yeah again loved the sibling scenes, loved sidra and Sara…the sidra Zaroon scene was so sweet…Z finally has a helper , I think sidra will root for Zaroon rather than osama now she has talked to him, and that should sway kashaf. Thanks SZ…your ode was spot on!! Fawad really has made Zaroon so endearing, was totally team Zaroon today!! @SK – i also loved when she questioned who her ideal was.. When she was going on about how Zaroon was not her ideal, I was thinking ke “woman who is your idealll”” and lucky for me she was also thinking along the same lines! The diary scene was fab, but i wonder why Kashaf has not bought a laptop now. She must really love writing with her favorite pink pen. I find Usama's character very cute..and while I do feel bad for him. Shehryar needs improvement. He was good in the episode he proposed Kashaf..but I notice he really fails to impress at all when put in the same frame as Fawad. Well, can't even blame him now can we? For some reason, if I had to picture another actor playing Usama, I would go with Danish Taimoor? I don't know why, but I feel he could've pulled off Usama better. 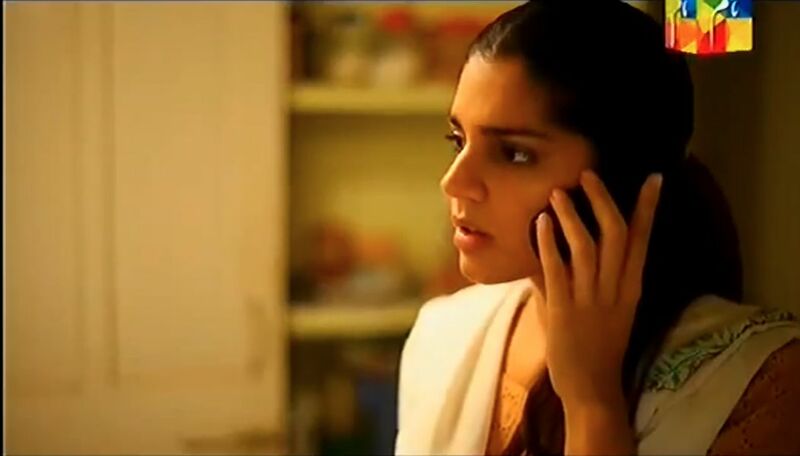 Sanam Saeed was great as usual. Sidra & Zaroon's conversation was adorable. Can't wait till she invites him for chai…too bad there's no chance of them to ending up together. lol. 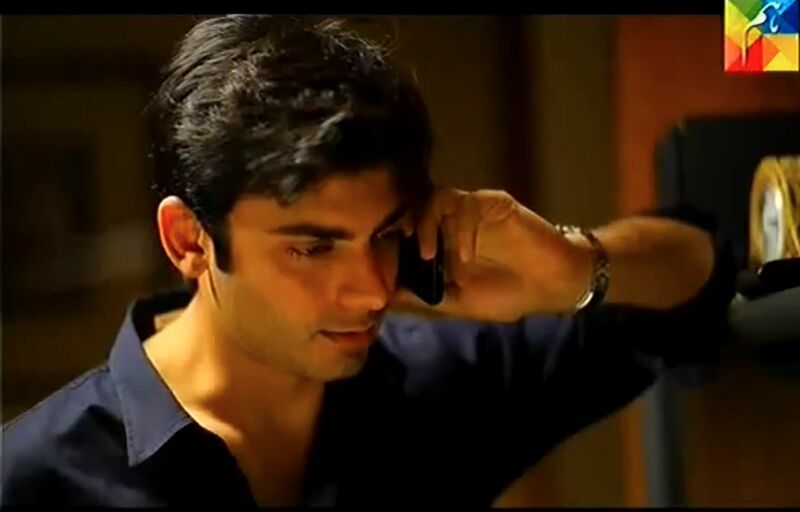 I was smiling throughout their phone call..or maybe it's just the Fawad factor? No clue, regardless – Kashaf and Zaroon for the win it is (obviously). Oh yes, hope Usama doesn't get dragged into this. He's going to feel hurt either way though. @S.A – hehe everyone is team Zaroon now after this ep! FK is just so good at what he does!! Usama’s character is cute but the actor playing him just totally ruins it.. Wish they had picked a better actor to do this role. Agreed. Usama would’ve been something else altogether if someone else played him. His character would have had so much more impact. I have been team Kashaf all along…but now I am team Zaroon! only Fawad Khan can make me change teams ahaha. I never do this with any other show. This entire episode was pretty much back and forth between Kashaf and Zaroon. Kashaf is one angry woman, I mean fine she has her reasons to say no, but it has been many years and people do change and mature along the way. Him admitting his mistakes is the biggest change in him and she should see that as a good thing. The man is really really trying and has grown out of his university days behavior. One character who always makes the episode a little happier is Sidra. Love her smile and her keen interest in Mr. Zaroon Junaid. Uski toh eid ho gaye when it was Zaroon on the other end. Her face literally lit up! lol. I think its high time that Kashaf lets the bitter college days go and move on with her life. Yes she has had differences with Zaroon but cut the guy some slack. Loved the last scene between sir Ibrar and Zaroon.. “Uncle pleassseeeee kyun nahi maan lete meri baat aap”” ahhh so cute! Even Sir Ibrar feels bad for the poor guy now!! Lets hurry it up Kashaf, ab haan kardo….Zaroon looks so hot in that bechara look of his but please say yes to him!! Ash LOL at he pen!! I was also thinking that, ab toh Officer bangayee…laptop nahin afford karsakti??? @Ash… How can you write such hilarious comments always….i had a big lol on pink pen 😀 n seriously osama was such a smiley baby..
Aaaaaaaaaaaa I have been waiting and waiting for the review ! You never fail us! Loved it!! So many comments already ! I really loved the episode but I was expecting it move forward more!! Im just going to pretty much echo eveyone here but i have to before i explode! I don’t know what he did but I have been on his side. I think turning point was his conversation with Osama where he admitted he was insecure ! Whatever whenever he has completely won me over now!! I’m ok for the most part with kashaf and her anger but I wanted to kill her when said she will marry Osama ! Why this not so zabardast twist now? Was this in the book too? Won’t it make everything awkward in the future? Sidra sooo wants kashaf to dump Osama ! For her zaroon is family already! Lol…. I simply loved his conversation with her, looks like they are going to be good friends. She has been waiting for years now!! Impatient nervous anxious fawad was soo awwww worthy .. I might have drooled all over while watching him today !! Murtaza is back to his snakey self.. Gah !! So much to say but don’t know what to say !! Fawad’s voice takes me to lala land. It’s mesmerizing. How I wish he had dwelled a bit more on the “kyun?” While he was typing his thoughts. The romantic in me was sooooo hoping he would admit he has always been attracted to her . So what did Zaroon and sidra talk about after he said he wants to talk? Was that scene cut off? I looked at do many videos . Not one of them had that. How can they end that scene do abruptly ? I am not reading your review because I am yet to watch the episode… Can you tell I am dying! One great review after another , great read SZ ,but that is nothing New . mmmmmm just floating at this moment ..That final telephone conversation with kashaf …sigh …maar dala and finally Sanam matched him 🙂 BTW I am so glad Murtaza the Snake is back slithering here slithering there between his two wives , I could not stomache a sudden conversion to good guy not after the misery he has caused . Kashaf deserves happiness without him . Charmer, Amazing acting.. He is blessed mA! Aap sub ko shamooliat ki dawat hai. Afia if you postpone the nazar utaro ceremony for 10 days mei bhi shamooliat ka sharf hasil kar sakti hoon esp if our har dal aziz is going to be there? OMG Afia how can you do this without me ?????????? Maybe have the Nazar utaro ritual on Skype a’la Silvatein! You wrote about all those points which I thought I would add to my comment. I simply loved today’s episode. It was very entertaining and the scenes showing his apprehensions and his desperation were excellently done and Fawad Khan stole,today’s show. He was simply too cute when he was discussing the matter withnSir-Abrar. And yes that churail scene too. Had always liked the ‘churail’ sequence. After this episode , 18 episode mein the wedding doesn’t seem like it will take place. Let’s wait! How HOT does FK look here! Check out this video about his charity concert! :). Isn’t there a video of the acrual concert??? Now that would be even better!! Hopefully this concert will be uploaded online! Did you all notice, they didnt show that scene in the promo where Sara says ‘what is she going to say ? and he says ‘isi ka tho andaaza nahin’ ..they showed the conversation but they cut out this line! They did show it. When he calls Sara from the couch and says baath nahin ho pariye then she says that and so does he. Lol go watch it again and listen carefully, zaroon kinda muttered it! @Aish this has the full convo uploaded by hum. I realized some uploads cut part of that convo out, that’s why you didnt see it! SK, thanks so much!! Going to watch it ..again! Perfect!! That’s how I think this episode was and so is the review:-). An amazing insight into zaroon’s character and Fawad as always took his performace to new heights. For me the best scene(s) was Sidra and Zaroon’s instant trust and light conversation, i think it is Sidra who could pull this off and her smile and dialogue delivery made it all seem so real, followed by the tele con between charming Zaroon and proud Kashaf. 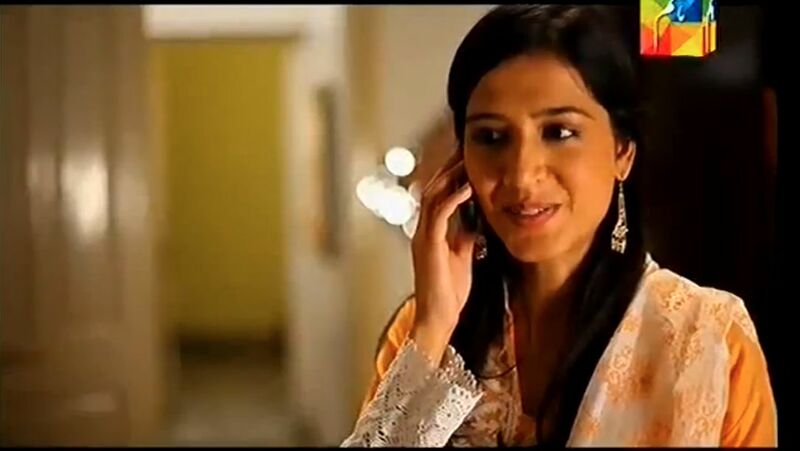 Maybe because I have see this episode 7-8 times ( of course the key scenes) and I am over analyzing but did anyone notice how Kashaf started off the conversation, sounded as if she has right on Zaroon and switched to ” tum” instead of Aap throughout whereas Zaroon siwtched between tum and Aap, but regardless the scene was superbly enacted, simply loved it and felt the overall episode was bang on! Just for the sake of discussion, what do you all think will make Kashaf say ” YES! !” to this charmer who she has no regard for or atleast she thinks he is not worthy of…. comments? Some pics of FK here at the AIMC. I think so too, she is in love with him ( or at least attracted to) without realizing it!! Drop those barriers Kashaf!! BTW, who guessed episode 18? they were spot on! @Osama fan: Wasalam,.. lovely to hear from a big Shehryar fan – welcome 🙂 Shehryar Munawar lives in Karachi and if you’re a big fan then I’m sure you must have also watched his Meray Dard Ko Jo Zubaan Miley, Kahi Unkahi and Tanhaiyan Naye Silsilay.. Would love to hear what you thought of those! I completely agree with the reviewer. 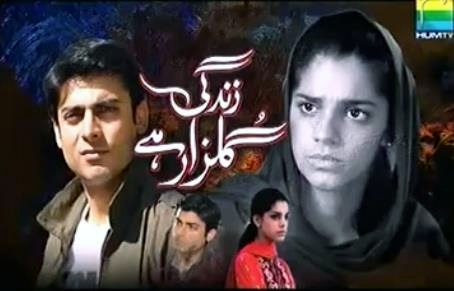 After watching this episode the second time, I realised it was at this point I completely rooted for Zaroon and it was all because of FK’s brilliant portrayal. His acting was top notch. I also liked the fact that he ‘feared’ her, which is a new feeling for him. He never feared a woman or worried about what she would think of him. This made him more conscious and hence more awkward. And FK nailed it. An ‘ode’ is warranted. But I do wish she melted a little bit during their interactions at professional level or there was one incident which made her doubt her opinion about him. I too am in the camp which wondered, what is the point of Osama’s character (with the annoying jersey t-shirts). I think it was to draw a comparison. Zaroon stood up for Kashaf, confronted his parents(even before marriage), fought all the negativism and stood by his decision to marry her. With Osama, Kashaf would not have found the ‘man’ she is looking for. Whether I concur to Zaroon’s point of view on women/marriage is a different discussion, but i do think he was man enough to be by her side for life. The only thing that would come between them was their own ego’s and idiosyncrasies. Anything external, he would stand by her.